The Mursi is a pastoralist ethnic group located in the south of Ethiopia in the Omo region near the Sudanese border and Mago river. The group is about 7 500 people. They speak mursi language. 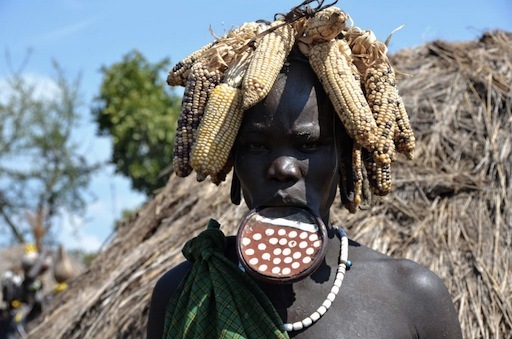 Mursi women are famous for their lip plated and scarification by slicing their skin with a razor blade after lifting it with a thorn (men perfom the scarification too). It’s a way of preparing the person to violence in life, in a hostile environment.